The Permanent Secretary in the Ministry of Information, Publicity and Broadcasting Services Mr Nick Mangwana says the move by government to block internet connectivity at the height of the terrorist attacks by hooligans backed by the opposition MDC Alliance last week was a justified operational procedure under the circumstances. 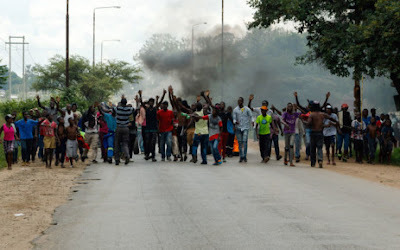 With Zimbabwe under siege from sponsored hooligans who attacked citizens and police stations indiscriminately in violent demonstrations that cost lives and property, government had no option but to act decisively to protect innocent citizens. Mr Mangwana said there is nothing peculiar about Zimbabwe shutting down internet, which was used as the medium of communications by the masterminds behind the attacks as other countries have equally exercised such operational strategies when faced with terror attacks. He also said the discourse that is being peddled by the organisers of the riotous demonstrations that the hooligans were unarmed is a fallacy.